Why do pain and persecution flourish along the path of righteousness? How can sickness and sin reside beside the Lord’s still waters? 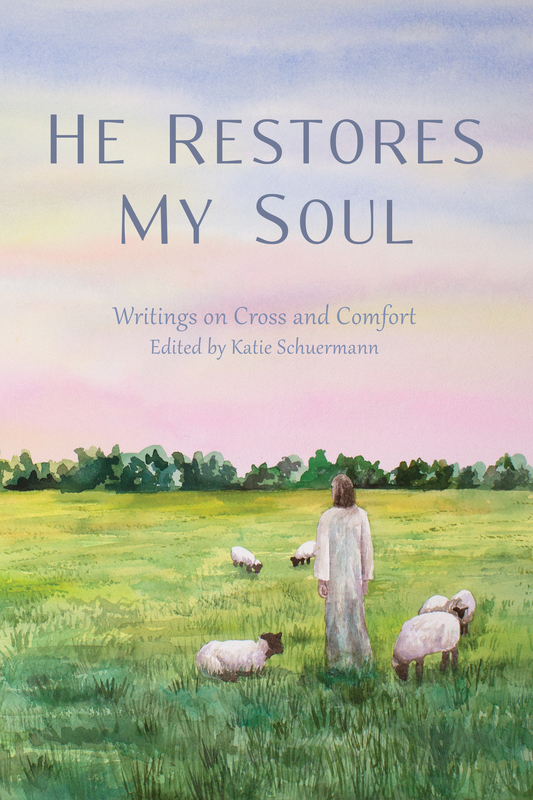 Utilizing the timeless, rich comfort permeating Psalm 23, author Katie Schuermann and a host of literary friends ponder such questions and many more in He Restores My Soul, a book of empathy and encouragement for the cross-bearing Christian woman. Never indulging in contemporary self-help rhetoric, Schuermann and friends persist in pointing the reader to a firm trust in God’s promises found in His Word and a resounding joy in God’s mysterious work of conforming us “to the image of His Son” (Romans 8:29). *Order 10+ copies, get a bulk discount.